An Estimated 78 Million U.S. Women Have Been Assaulted at Work and the Cost is Real. Georgia Reash, Repairing the World - Inspiring the Spirit! March is Women’s History Month, and it seemed appropriate to talk about what is so difficult for all of us to talk about; the abuse of sexual power in the workforce. Women and men both struggle to dialogue about the intensity of the emerging #MeToo movement and the deluge of reports coming forward after being hidden for so long. However, my impression is no one is really surprised. For many reasons, the public admittance of the problem (with origins since the beginning of time) causes discomfort, as well as fear. I have talked to many male colleagues, some of whom admit their own foibles; and I have talked to many female colleagues, some of whom have carried scars for life. And, collectively, regardless of politics or creed, most recognize that it is time to write a new narrative focused on the deepening of mutual respect. An ABC News-Washington Post poll in October 2017 showed that sexual harassment in the workplace is a full-blown epidemic. 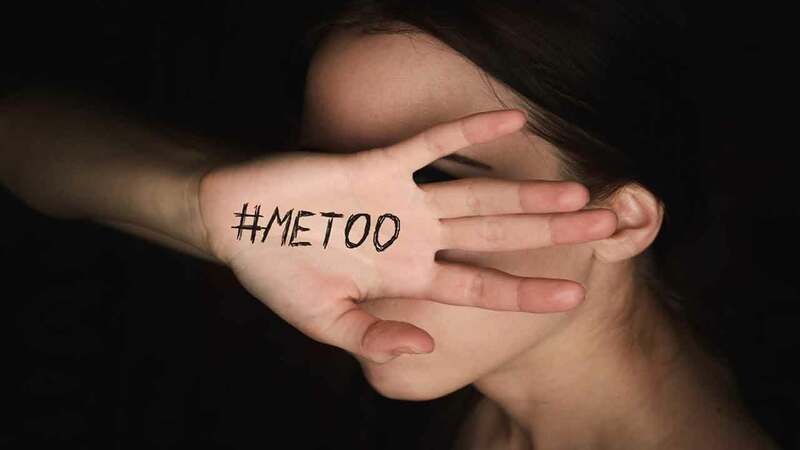 It found more than half of all American women, 54%, experienced unwanted and inappropriate sexual advances at some point; 30% have endured such behavior from male colleagues and 25% identified men with sway over their careers as the culprits. Given these statistics, out of the total population of women in the U.S. – 78 million have been sexually violated at work. Of course, these are only reported cases. The actual economic cost of sexual assault in the U.S. is $127 billion dollars per year; this is the price of treating chronic mental and physical health problems, addiction, workforce disability, housing transition, criminal activity, and family challenges. That means that over the course of 20 years – sexual assault has cost the United States 2 trillion five hundred forty billion dollars. However, as a corporate leader, trainer, advocate, mother to a daughter, and Co-Partner to Rise With Honor, I can attest to the reality that statistics can never convey the hard road of recovery which, for many and most women, is not an easy journey. The costs are usually much much higher, reaching deep into family life; even across generations. Given that sexual assault in the workforce is a global problem not to be ignored, how can institutions, churches, government, schools, and companies find solutions proactively, without being caught up in the spirit of “gender blame” and without sidelining the movement to a womanist issue? More importantly, how do we as workforce teams cultivate justice, healing and higher standards of behavior at the same time? The abuse of power in the workforce – ALL abuses of power – can only be addressed through a comprehensive approach that benefits all: Education. Sharing. Access to Support. Policy. Equal Enforcement. Forgiveness. And Fortifying the Strengths and Bond of the Entire Team. Yes, my idealism speaks, as I know this approach will most likely be a rare response, at least right now. It will take time for the world of work to really understand the direct correlation between heightened mutual respect and productive corporate culture. But I am hopeful, as I suspect are the 78 million U.S. women (and multiple millions more around the world) who strive daily to rise with honor. This month, we might all think about these things. Not just because it is the right thing to do, and long overdue, but because our entire economic future is guaranteed to be brighter when each of us has the chance to realize our professional potential – without inappropriate intimidation. Have the talks. Be the change. Georgia M. Reash is a local and global advocate for the prevention of violence and the healing of trauma. Gleaned from her own survivor journey, and her work in global sustainability, she has developed resources, projects and educational messages that inspire a deeper understanding of trauma culture and what is needed to holistically heal - personally, and as a community. In 2000, Georgia experienced a major ‘catalyst event’ that caused her to recreate herself from the inside out; through a whole person approach, Georgia enabled a mental-spiritual-physical-energetic-generational recovery from 50-year trauma-cloaked life, and a major physical illness, into a joyful space of life celebration. Her life as an artist, writer, story teller and creative dancer serves as an expressive catalyst for delivering life-inspired stories of resilience and courage. Her play, Journey of The Hummingbird Minister, conveys a compelling, heart-stopping drama of her story. It has been performed in full and partial productions and is currently launching a Northeast Ohio- Florida Gulf Coast campaign tour (2019-2020). As a poet, her work includes Weed Flowers 1: Sensualities, Hummingbird Poetry, and Weed Flowers 2: Dignity. Georgia’s paintings are featured in her Metamorphosis 18-piece art installation, which is accompanied by facilitated community dialogue. Georgia and her business partner, Pastor Sederia Graves, Executive Director of Believing A Miracle (Atlanta GA) are co-directors of a the 2020 Rise With Honor Conference, targeting veteran women with PTSD resulting from combat or sexual assault trauma. In addition to her work as an advocate and motivational lecturer, Georgia is also President and Developer at BrightSpot Communities, a sustainable development company, and Founder of LEAD Vision, a network of conscious experts. BrightSpot assists communities and companies in realizing their growth potential through a broad range of consulting and design services rooted in whole systems change and sustainable practices. The healing of trauma and the prevention of violence plays a key role in creating vital, sustainable communities.